No matter how imaginatively-captivating it may be, a premise is only ever as good as its execution. Nowhere is this more evident, this week at least, than with episode two of Star Trek Discovery‘s sophomore season which was a master class in finely-paced, perfectly-pitched storytelling. Continuing the Red Angel/Seven Sources of Red Sound arc, the Discovery heads over to the Beta quadrant to check out the latest blip on the celestial radar. But hark you say, as did Captain Pike (Anson Mount) when the idea of hot-footing it ridiculously far across the galaxy was first proposed to him – it’s great to see how beautifully Mount is balancing the gravity and quip-heavy humour of his role – wouldn’t that ordinarily take 150 years to go that far? Why yes, yes it would in fact, but as luck would have it, while dear lovely Tilly (who is my Discovery crew member of the episode, each and every episode) has yet to crack the secret of the Asteroid Power, and ends up getting quite banged up trying, the Spore Drive is back in action. 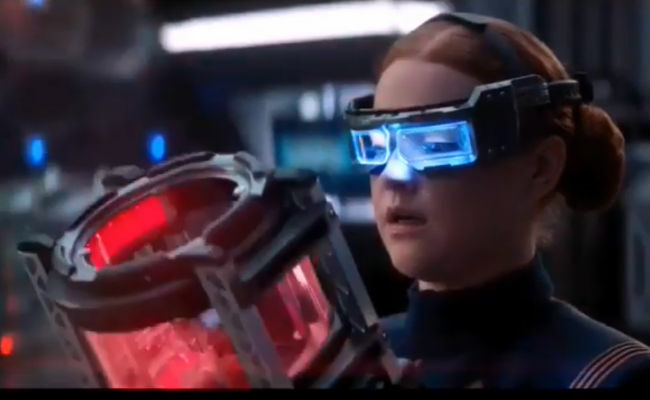 How is never quite explained but before you can say “Won’t our children be dead by the time we get to the Beta quadrant and won’t that make a mockery of this season’s arc (OK fair enough, pretty much anything is faster than saying that), Lieutenant Stamets (Anthony Rapp) is strapped into the Spore Drive-a-thon (not called that but really it should be) and the Discovery is up, up and away, so to speak. While the rest of the crew is all chilled and “yeah this totally happens all the time”, Pike takes a moment to get his bearings which is, drum roll please, 150 years away from Earth and the idealistic delights of the Federation. Quite apart from the fact that this is pretty damn cool, it’s always a big deal because down on the M-Class planet below them in beautiful Discovery-o-vision, sits 10 Amish-like settlements of 11,000 people, all of whom are very, VERY human. So the question is, how did all these people, who it’s quickly established have been there about 200 years, get there to the planet? It’s a conundrum, one made even more conundrum-ish by the fact these people left Earth way in 2053 during World War Three when a nuclear holocaust left 600 million people dead and the governments of the world pretty much sparkly red radioactive toast. That means, drum roll of intrigue please, that these people, though they be human, are pre-warp and General Order One, which prohibits influencing the development of a culture yet to zoom out into the stars, applies to them. So off to the planet goes Pike, Burnham (Sonequa Martin-Green) and Joann Owosekun (Oyin Oladejo) who it turns out grew up on a Luddite collective on Earth and knows how to get Amish on, and to the church from which the latest of the mysterious signals is emanating. They enter to find a church with stained glass windows, which Pike points out was used to convey religious truth to the illiterate, depicting all the major religions of Earth which in this New Eden, as the locals call it, have all been poured into a great big polyglot mixer from which a fresh new religion has emerged. Leaving aside how many awesome religious festivals they must have, and how it is they get any work done out in the fields with all those days off – and how are they not the size of Michelin Men? – the striking thing about this discovery by, ahem, Discovery, is that everyone is well and truly aware of their origins. Well, in a religious belief kind of way. What sounds to us like history being recited, is dogma to everyone else save for Jacob (Andrew Moodie) who’s family is descended from scientists who have faithfully-tended to the signal box down in the church basement ever since their arrival all those years before. While it’s never quite explained why the good people of New Eden didn’t go down an industrial path since they had all the technical necessary to do it – perhaps war has inured them against technology of any kind, something you could completely understand – and why fact became religious dogma, the fact that Jacob has kept the faith, albeit one of a scientific nature, leaves Discovery’s Away Team with a real pickle of a dilemma. Do they tell Jacob that the Earth is in fact not destroyed, one of the chief articles of faith for the bucolic inhabitants of New Eden, and that humanity is now zinging across the stars with alacrity (and mushroom drives) or do they stay mum and let progress, such as it is, take its course? 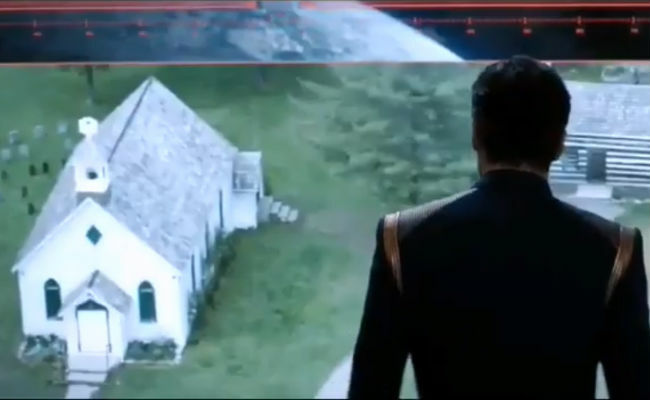 So Jacob gets confirmation that his scientific faith is real, Discovery gets the helmet cam which shows the Red Angel appearing and Pike realises that something real and mystical is going on down in Starfleet town. “New Eden” is thus a brilliant standalone episode, full of tender moments, fantastically-detailed worldbuilding and revelations that Stamets met with his dead husband Hugh (Wilson Cruz) in the mycelium and Tilly is being sweetly haunted by an old classmate, and another piece in an expertly-constructed puzzle-y mystery that promises to be a humdinger of a riddle to solve. 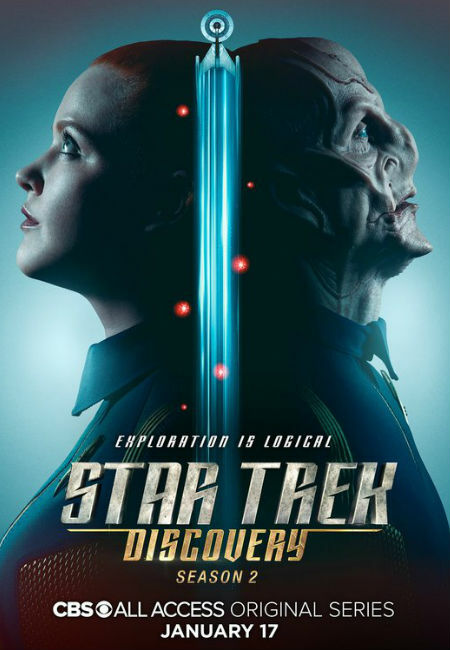 But not content with telling a rip-roaring story, and executing on a thrilling premise, Star Trek Discovery continues to invest their stories with elegant tales of humanity, balancing a gee-whiz arc of “what the? !” with some of the touching human moments that ensure the show has as much heart as it has spectacle. Quite where this will all take us in anyone’s guess – save for the writers who I hope have some idea where they’re headed – but it’s shaping up to be a brilliant season in which everyone we love about Star Trek is on full and glorious display.